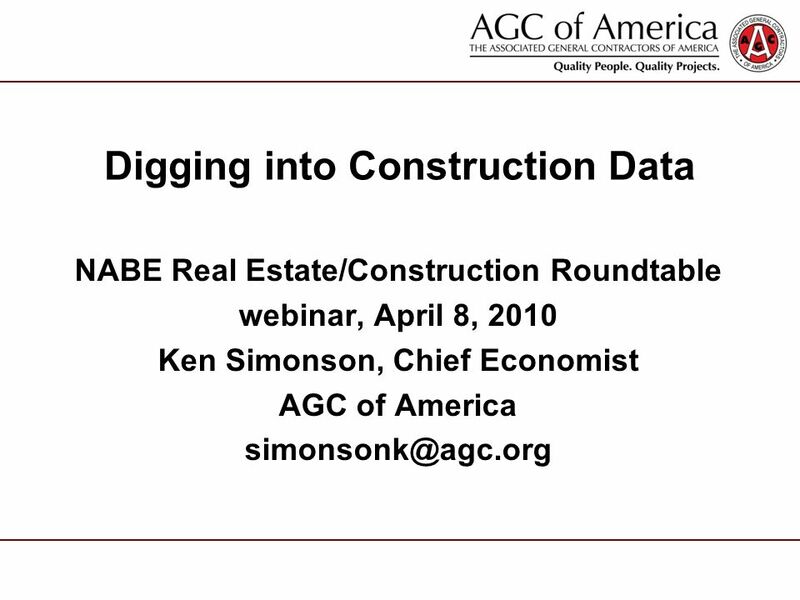 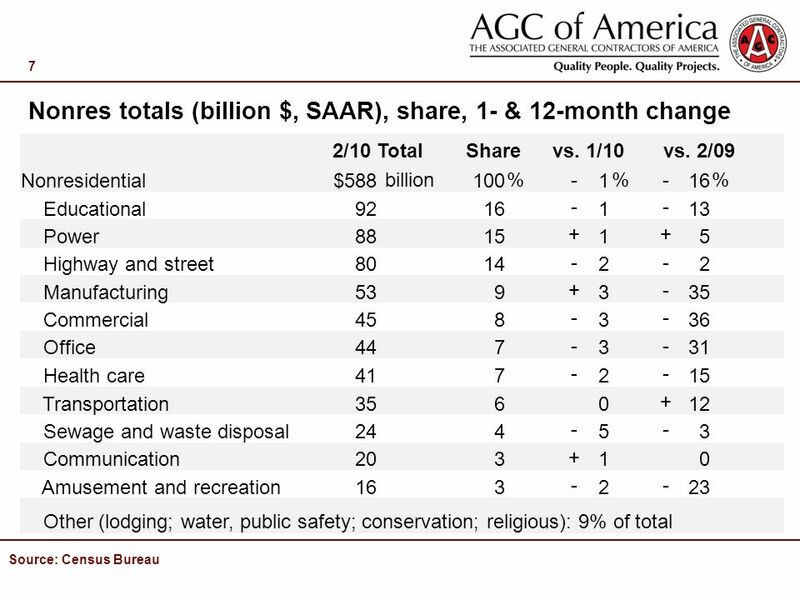 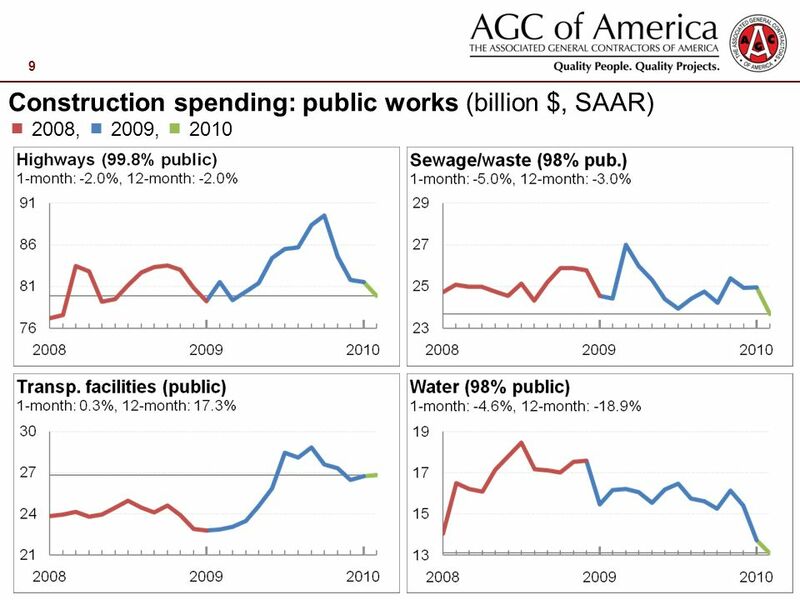 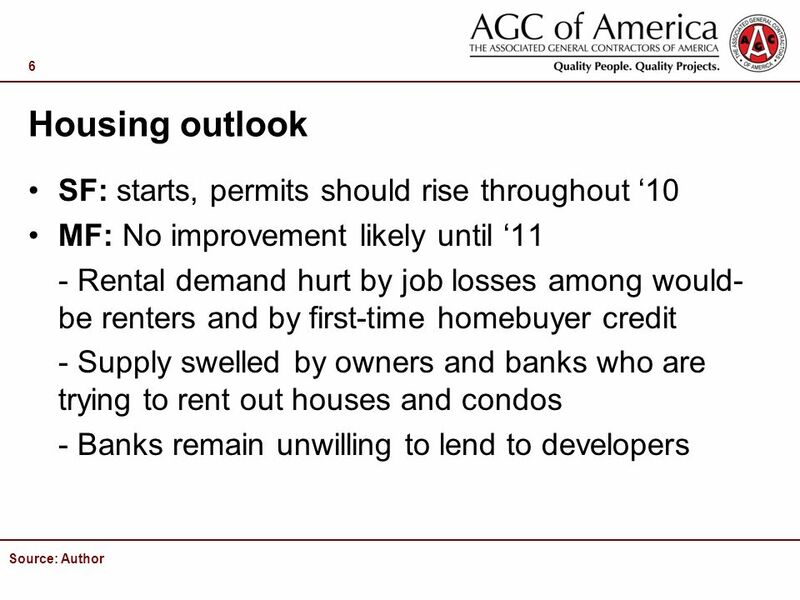 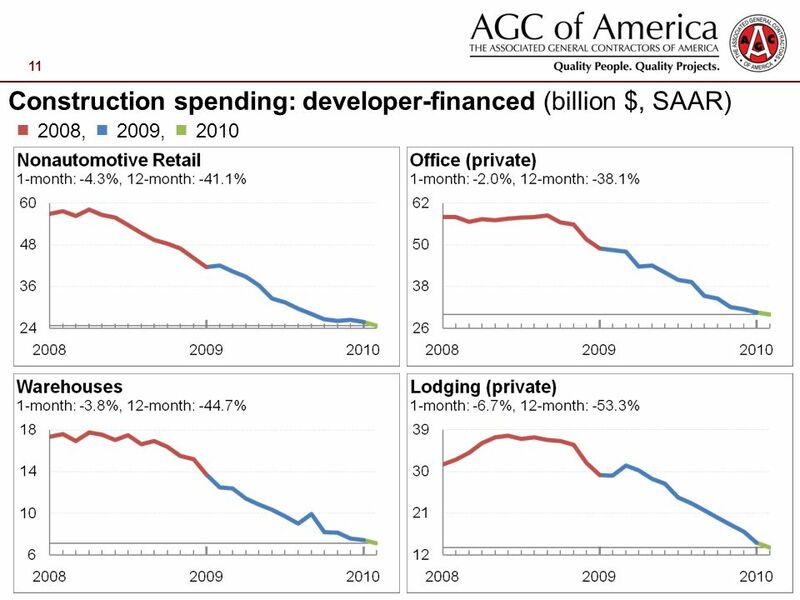 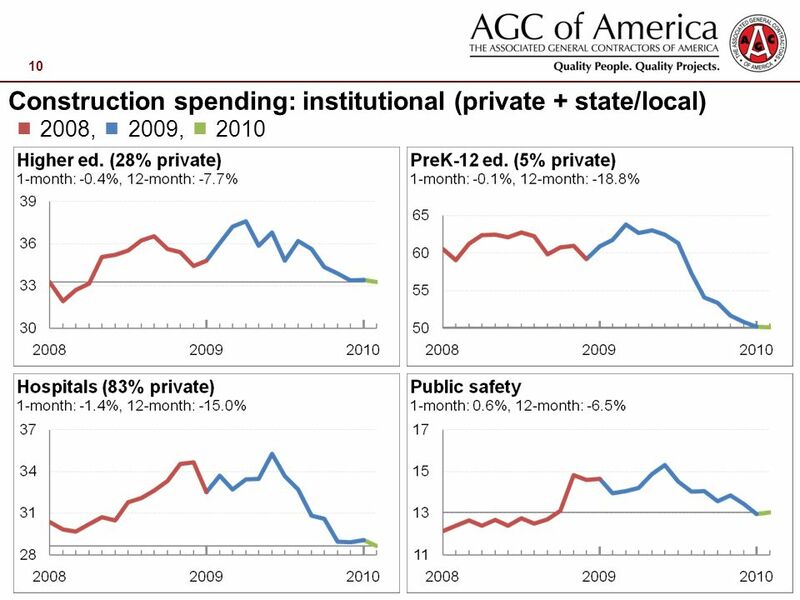 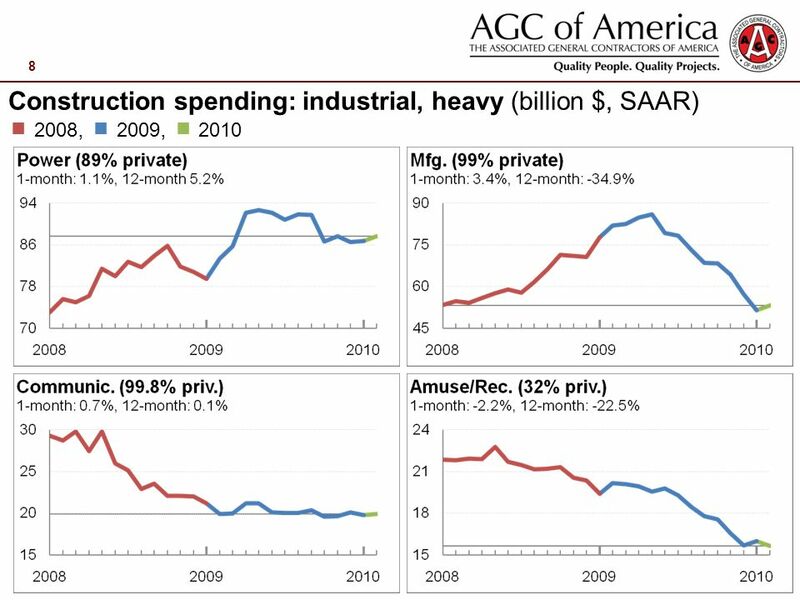 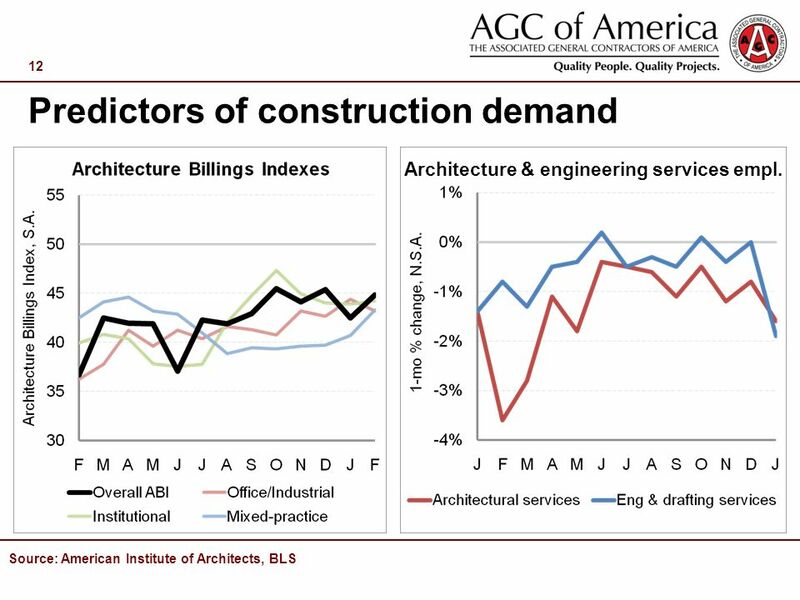 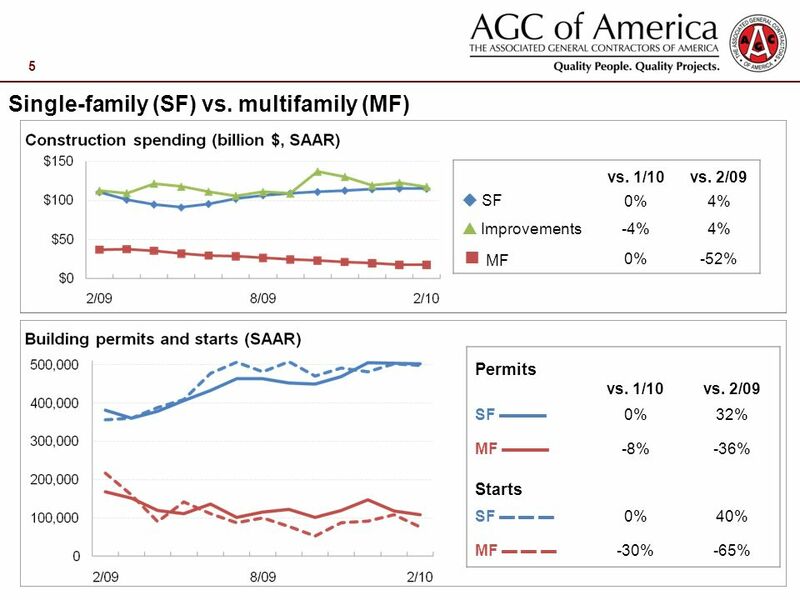 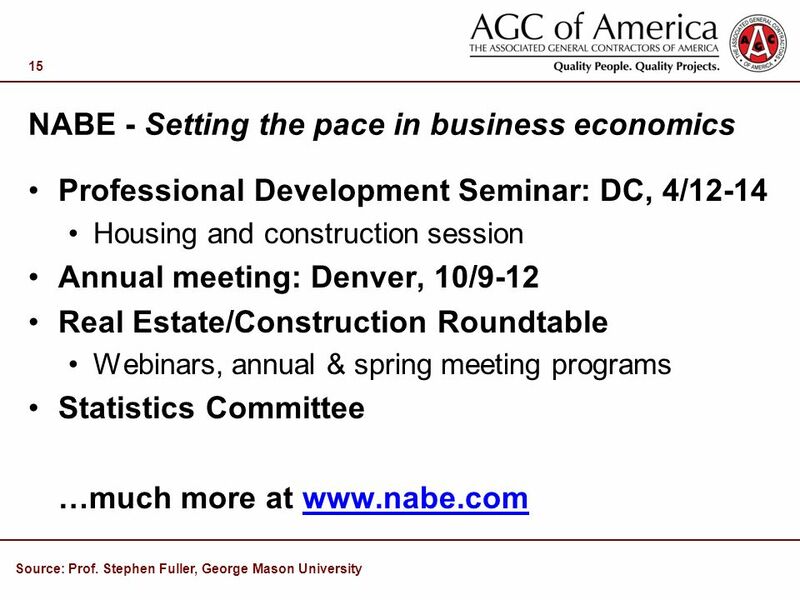 Download ppt "Digging into Construction Data NABE Real Estate/Construction Roundtable webinar, April 8, 2010 Ken Simonson, Chief Economist AGC of America"
Housing and Economic Development Catherine Smith, Commissioner Stan McMillen, Ph.D. 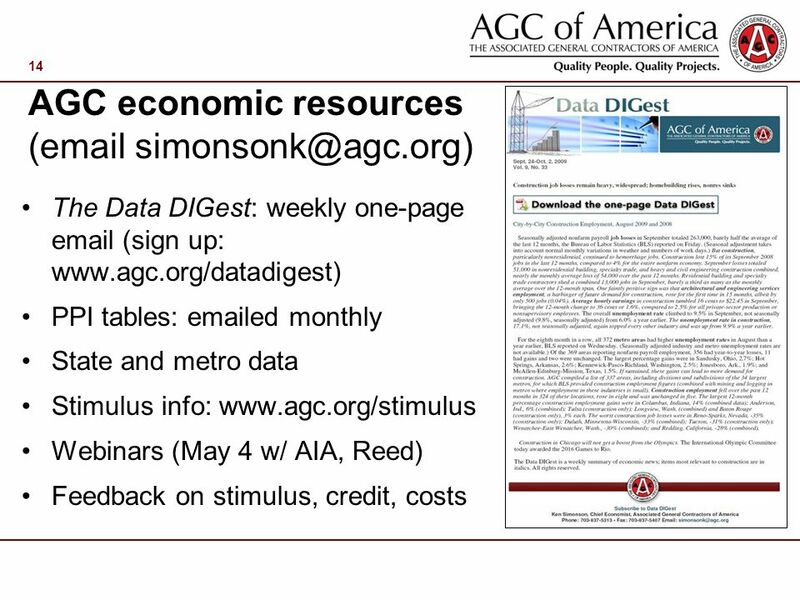 Managing Economist. 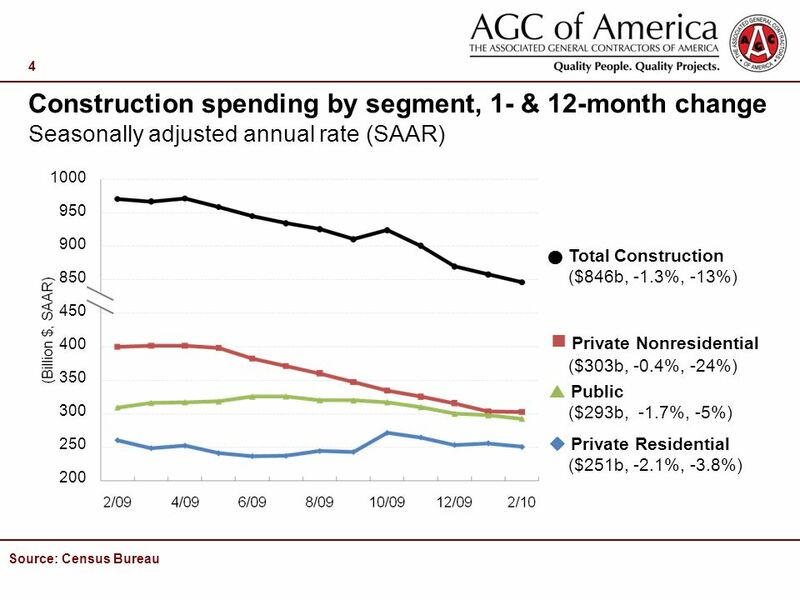 1 Value of Construction Put in Place Series (VIP) Conducted by The U.S. Census Bureaus Construction Expenditures Branch. 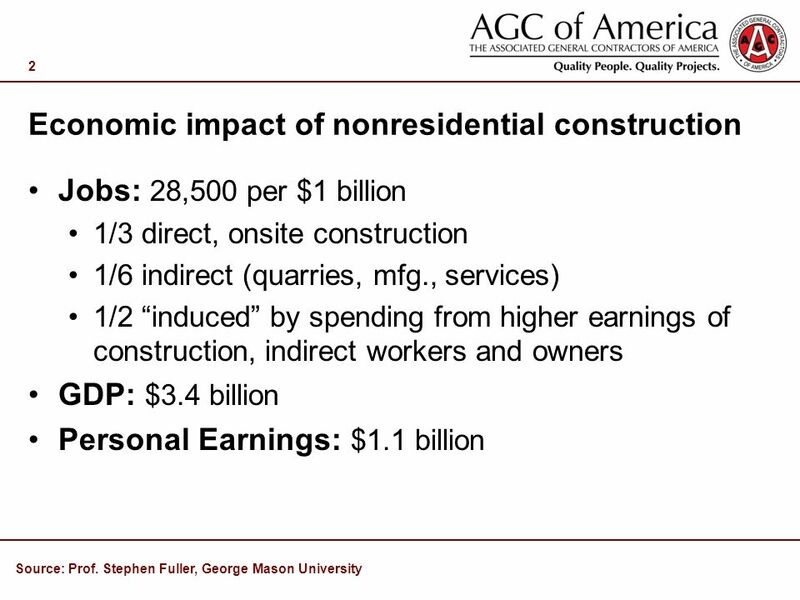 Evidence of a Double Dip Recession June 2010 Daryl Montgomery June 24, 2010 Copyright 2010, All Rights Reserved The contents of this presentation are not. 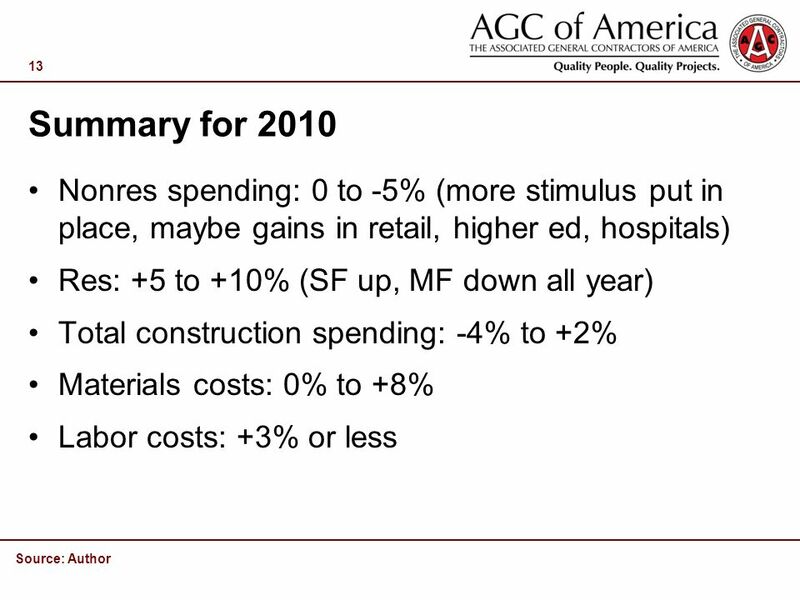 CONSTRUCTION COST TRENDS Central Texas Conference – November 12, 2010. 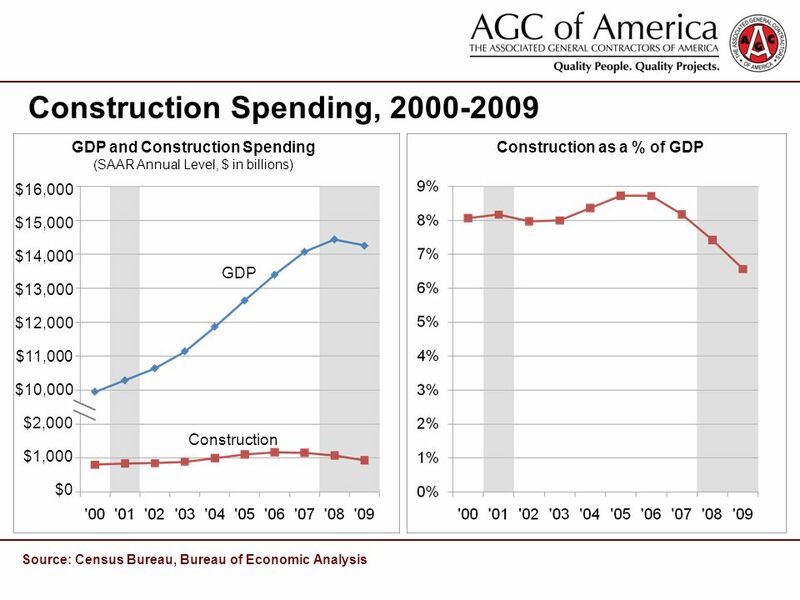 1 Value of Construction Put in Place Series (VIP) www.census.gov/constructionspending Conducted by The U.S. Census Bureaus Construction Expenditures Branch.